Reid's Apothecary is a fine casual dining establishment, located in downtown Brunswick. Serving thoughtful plates, and handcrafted cocktails. 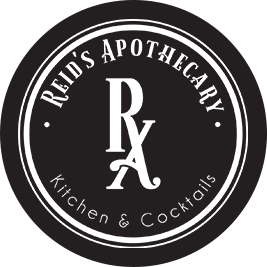 At Reid's Apothecary we pride ourselves in giving you a daily dose of fresh, local remedies to nourish your mind, body and soul.